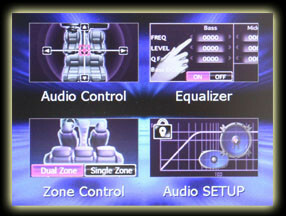 These vehicle navigation GPS stereos have all the inputs and functions you’ll find in the newest high end vehicles: iPhone and Android input and controls, apps, Bluetooth for music and handsfree phone calls, DVD, HD Screen, Traffic Alerts, Music Hard Drive, HD and Sirius Radio, Smart Phone Mirroring, etc. And if you don’t need navigation, you can get all the features for as low as $449 installed! How about a Backup Camera? If you can avoid one fender bender by adding a backup camera, it will pay for your entire new high tech navigation system. Never hit another car or other object you didn’t see, and make parking so much easier! If you’re looking for the ultimate in audio quality and tunability, these systems have functions we never even dreamt of ten years ago, and they all have separate high voltage pre-outs for front, rear and subwoofers. You won’t sacrifice sound quality for navigation and convenient features. There are a lot of cheap car navigation systems on the internet, but we only carry the best. Brands like Pioneer, Kenwood and Sony, that will work when you need them to and we stand behind every install with a warranty you can trust.